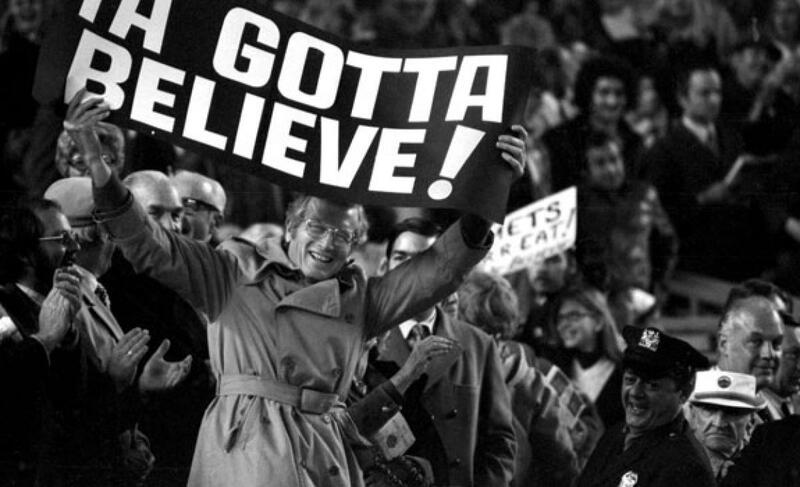 Game Recap: Mets 6, Braves 4, Syndergaard dominant, Clippard falters, team bails him out | We Gotta Believe! The Mets (81-61) defeat the Atlanta Braves (56-87) by a score of 6-4. Noah Syndergaard was dominant, allowing 1 run over 7 innings, but Tyler Clippard faltered in the 8th allowing a pinch-hit 3-run home run to Adonis Garcia, tying the game at 4. The Mets bailed him out quickly, with a leadoff double by Travis d’Arnaud and an RBI single by Kelly Johnson to help lead to a 6-4 victory. The Braves got on the board first off of Noah Syndergaard after a leadoff walk to Nick Markakis. Markakis advanced on a groundout, a wild pitch, and Freddie Freeman singled him in to give the Braves a 1-0 lead. That would be all the Braves got against Noah Syndergaard, who retired the minimum 20 batters through the end of the 7th inning. The only other hit Syndergaard would allow was to Jace Peterson in the 5th inning. However, Peterson tried to stretch it to a double, and Michael Conforto threw him out for his fifth outfield assist. Syndergaard finished with 7 innings pitched, only 2 hits, 1 run, and 1 walk allowed with 8 strikeouts. The Mets got their line drives and hits against Atlanta starter Williams Perez, but failed to score when offered major opportunities in the 2nd and 3rd innings. In both innings, the Mets grounded into double plays with runners at 1st and 3rd and one out. In the first 6 innings of tonight’s game, Atlanta ended up turning four one-out double plays with a runner at third, their defense saving a run each time. The Mets finally scored a couple times in the fourth inning. Daniel Murphy led off with a double, followed by an RBI single by David Wright. Michael Conforto added a single, advancing Wright to 2nd with no one out. After a d’Arnaud popped out, Kelly Johnson walked on a wild pitch, scoring Wright to make it 2-1. Once again, a double play ended the threat. Another leadoff double by Murphy in the 6th led to a 3rd run, after a line drive up the middle by Travis d’Arnaud scored him from 2nd. It appeared the Braves might turn another inning-ending double play, but d’Arnaud’s line drive deflected off the glove of 2nd baseman Jace Peterson. As if contractually obligated, Kelly Johnson grounded into the fourth double play of the game to end the threat. In the top of the 8th, Yoenis Cespedes hit his 34th home run of the year off Edwin Jackson to make it 4-1. Tyler Clippard on for the bottom of the 8th, Clippard looked shaky, walking Jace Peterson to lead off the inning. After getting Andrelton Simmons to strike out, Michael Bourn singled up the middle and pinch hitter Adonis Garcia hit a 3-run home run to left field on the first pitch he saw. The game was tied at 4. Clippard got the next two batters to get out of the inning. In the top of the 9th, the Mets wasted no time in regaining the lead. An opposite-field ground-rule double by Travis d’Arnaud led off the inning (a ball it appeared right fielder Nick Markakis would catch) against Braves closer Arodys Vizcaino. The double was followed by a line drive single to right by Kelly Johnson, scoring pinch runner Eric Young Jr. from 2nd to give the Mets a 5-4 lead. Pinch hitter Lucas Duda walked, and defensive replacement Juan Lagares bunted the runners over. Curtis Granderson walked, and Yoenis Cespedes hit a slow grounder to score Johnson from 3rd to make it 6-4. In the bottom of the 9th, Jeurys Familia retired the side in order to get his 40th save of the season. Syndergaard looked fantastic tonight, with an electric fastball and strong changeup, leading Mets TV analyst Keith Hernandez to compare his fastball to Nolan Ryan‘s. Clippard had trouble with his location tonight, including a hanging changeup to Garcia, but Familia looked sharp as ever. Familia becomes only the 3rd Met in history to record 40 saves in a season, after Armando Benitez and Billy Wagner. Familia is only 3 shy of Benitez’s single-season record of 43. The Nationals lost to Miami 2-0, giving the Mets a 9.5 game lead and reducing their magic number to 12. The Nationals had Yunel Escobar and Ryan Zimmerman missing in tonight’s lineup against Jose Fernandez, making his first start back from injury. The Nationals also found out today that they have lost set-up man Drew Storen for the season. Storen, after giving up the go-ahead 2-run home run to Yoenis Cespedes on Wednesday night, apparently slammed his locker in anger, and in doing so, broke the thumb on his pitching hand.